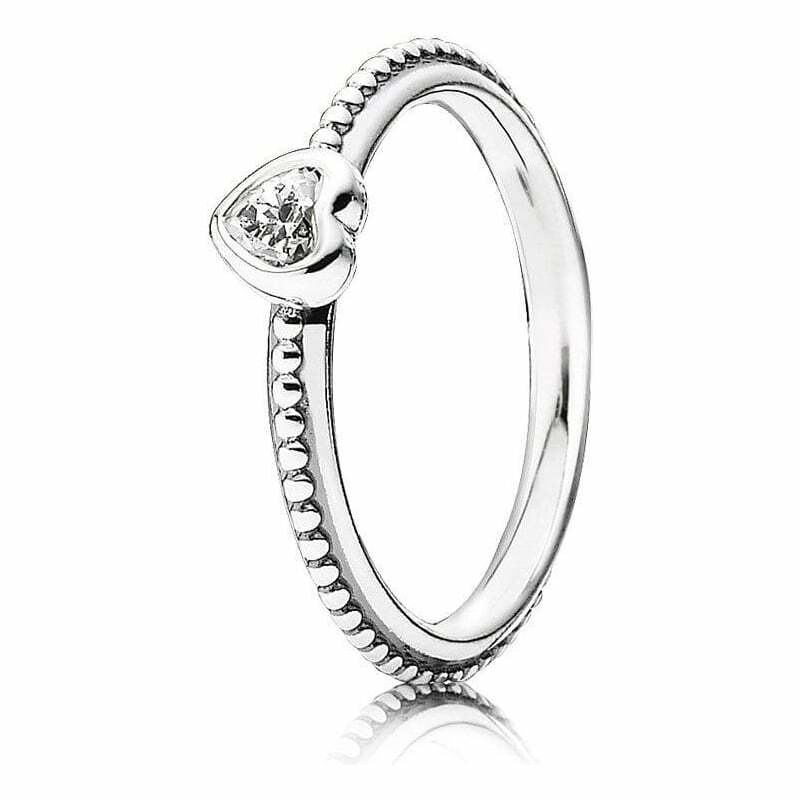 PANDORA Delicate Heart Ring 190896CZ, a delicate heart ring is made from sterling silver and has been adorned with a tiny dot effect to add detail. A heart-shaped piece of silver sits prominently with a clear cubic zirconia centre. It would look gorgeous worn on its own for an elegant look or wear with other staking rings to create a fun look. Beautiful delicate ring, ideal for someone with small hands and fingers. Perfect product delivered very speedily.